Lemon Harangue Pie: Find a dirty bomb? Don't try to wash it! Carole Longhorn, 65, took a number of unusual safety stops after discovered the explosive - including putting a plastic chair on top of it - before bomb disposal experts took it away. 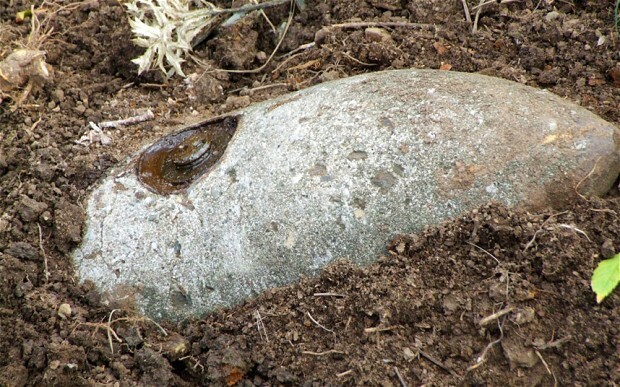 She hit the metal object with a spade while she was gardening at her home and when she looked closer realised it was in the shape of a shell. The gardener then put a plastic seat on top of the bomb just in case it went off while she shouted for her husband Clive, 60. Once she had dug it up she took it inside their house and left it on the coffee table, before Mr Longhorn heard a rattle and turned around to see his wife washing mud off the bomb in the sink. Police were called and experts confirmed they believed that the bomb was still live. They took it to a nearby quarry where a controlled explosion was carried out.